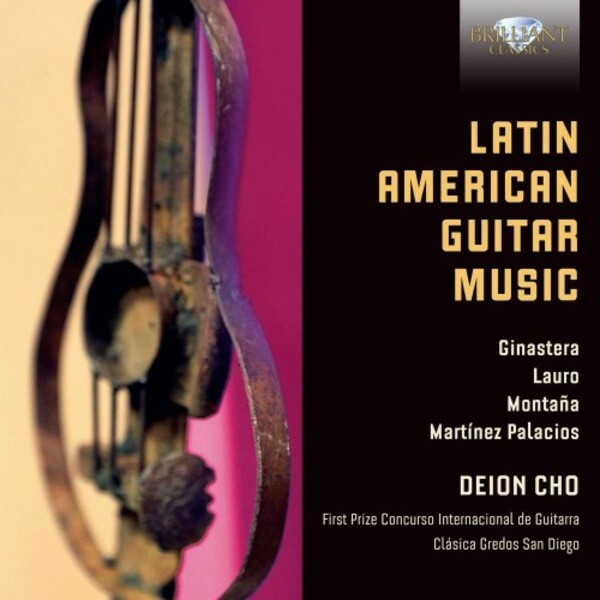 This is the CD debut of Korean guitarist Deion Cho, first prize winner of the Concorso Internacional de Guitarra Clásica Gredos San Diego. For his first CD, Cho chose 4 leading 20th century guitar composers, differing in style and tradition: Ginastera, Lauro, Montaña and Martínez Palacios. Although all originating from South America, the composers' styles differ greatly: from the neoclassical idiom to folk inspired, from charming Waltzes to harsh expressionism. All these dazzling, attractive works make full use of the resources of the guitar and show the prodigious gift of this young virtuoso.